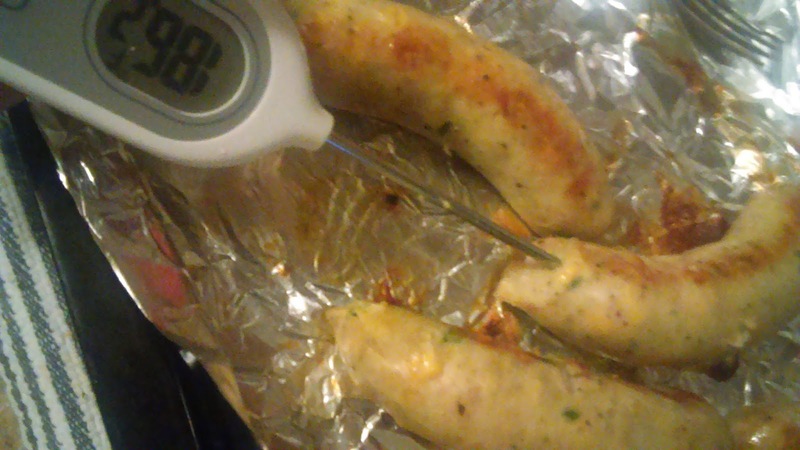 I have used a few different types of cooking thermometers, both digital and regular. (Sorry, what are those called? lol) Anyway, the MeasurePro Instant Read Waterproof Thermometer is a bit different. It's a nice looking thermometer. Yes, it is a good size, and doesn't weigh much. It's also very easy to use and the screen is easy to read. The "pen-like" attachment is easy to put on and take off. It can also be attached at the top of thermometer as a handle in case food is super hot. I have been able to use this with several different meals. The readings are shown within a matter of seconds and I believe that they are very accurate. I like how simple it is to be cleaned, especially the fact that it can be put in the dishwasher. I can't do this with my other digital thermometer, without possibly breaking it. I like how unique this thermometer is with not only the ease of cleaning but also the fact that it has the detachable handle function. Nice product to store in a drawer in the kitchen for measuring a variety of foods or liquids. You can purchase this MeasurePro Thermometer on Amazon.